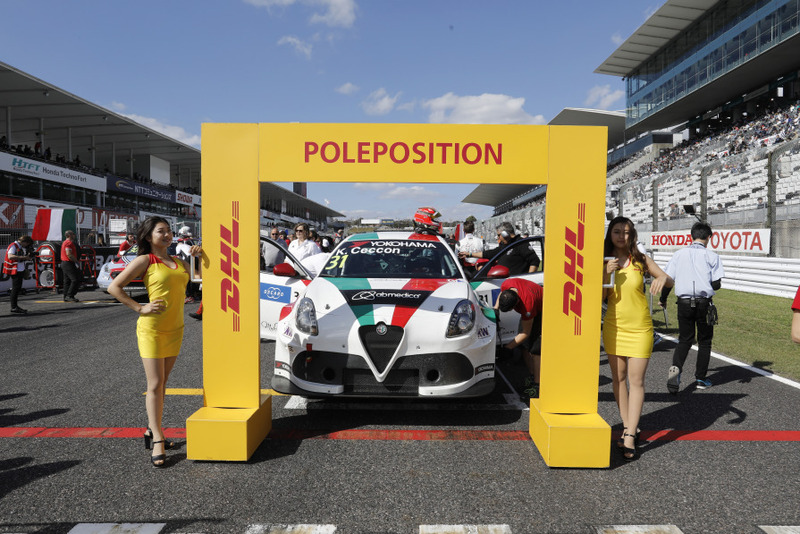 The DHL Pole Position Award has become an important part of every WTCR race weekend. The driver, who achieves the most pole positions, is awarded the prestigious prize at the end of the season. 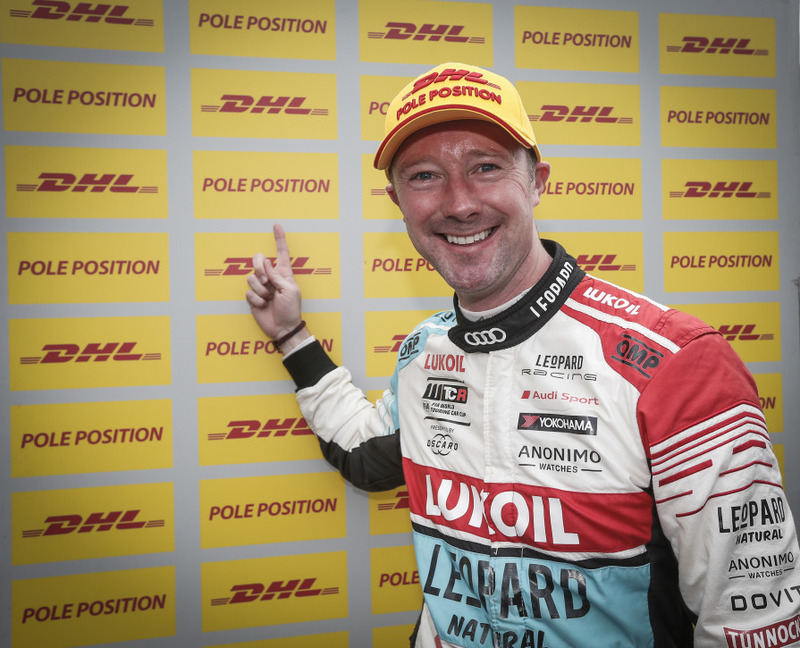 Thed Björk won the DHL Pole Position Award for first time in 2018. DHL again delivered the FIA WTCR’s equipment for the season opener in Marrakech as in previous years. 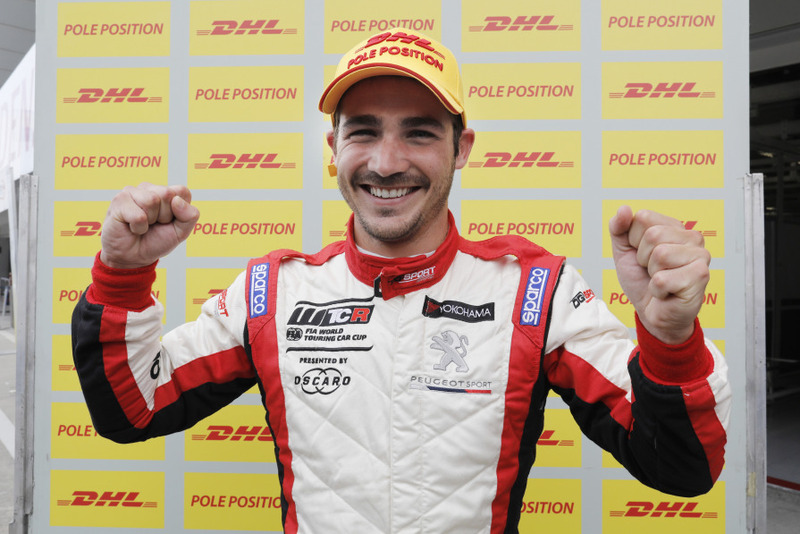 Argentinean driver Esteban Guerrieri secured the first DHL Pole Position of 2019 on Saturday and also converted his excellent position on the grid into the win. This was his third success overall in the WTCR. DHL Pole Position went to Belgian driver Frédéric Vervisch in the Audi on Sunday. He was beaten by Thed Björk in the race but managed to take a podium for second place. Björk leads the WTCR overall standings and is five points up on Guerrieri after the first three races of the season. First flight to Pole for Fred! The grand finale to the 2018 FIA WTCR in Macau was dominated by the as yet unresolved battle for the title. No fewer than seven drivers went into the weekend still in with a mathematical chance of being crowned champion. In the end, it was Gabriele Tarquini who had cause to celebrate: the Italian veteran finished the campaign just three points ahead of Yvan Muller. 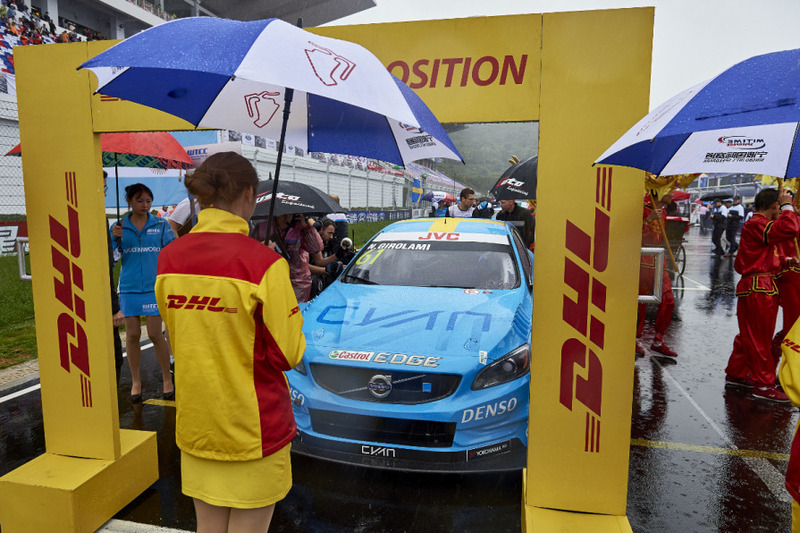 In addition to the podium ceremony for the new WTCR champion at the fabled Guia Circuit, the trophy was also presented to the winner of the DHL Pole Position Award. Thed Björk clocked the best time in qualifying on six occasions over the course of the season, which put him in a in a class of his own in this particular competition. “It feels really nice to have this award, but it’s not just my award, it’s for the team as well,” said Björk. 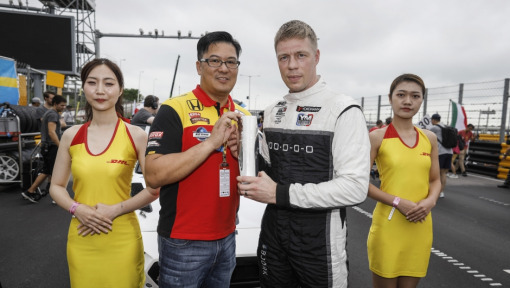 The trophy was presented to the Hyundai driver from Sweden by Bem Ho, winner of the DHL #PolePosition competition. There are a couple of firsts to report from the penultimate FIA WTCR race weekend of the season in Japan. In qualifying at the Suzuka International Racing Course, Aurelien Comte and Kevin Ceccon each secured a DHL Pole Position for the first time in their careers. Ceccon went on to celebrate a victory, though not in the race which he started from pole position, but rather in the race in which Comte had booked the front slot on the grid. The Frenchman finished runner-up twice at Suzuka while Ceccon added a P3 podium to his victory. In the FIA WTCR overall standings, Gabriele Tarquini increased his lead over Yvan Muller to 39 points, with just the Macau fixture remaining. The destination of both the championship and DHL Pole Position Award trophies will become known in Macau. Only a week after Ningbo, Wuhan was hosting the second of two back-to-back races in China. The standout performance on Saturday came from Jean-Karl Vernay. The Audi driver first dominated qualifying to secure DHL Pole Position and then won the race, also setting the fastest lap in the process. It was to be the turn of another Audi driver on Sunday. Gordon Shedden booked the DHL Pole Position for the first time in his career and converted the prime grid slot into a race win. There are now two race weekends left. 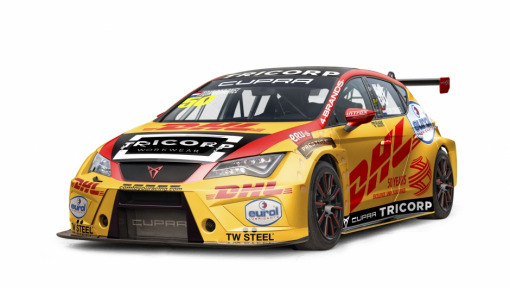 These will take place in Japan, and DHL will be delivering all the FIA WTCR equipment. In the overall standings, the situation has meanwhile got tighter, with Gabriele Tarquini, Thed Björk and Yvan Muller separated by just eight points. The battle for the title is hotting up. After a two-and-a-half month break, the FIA WTCR got the final phase of the season underway in Ningbo on the east coast of China. It was also the start of the campaign in Asia which will continue with another race weekend in China and forays to Japan and Macao. Thed Björk was on impressive form in Ningbo and did not leave the competition the slightest chance. 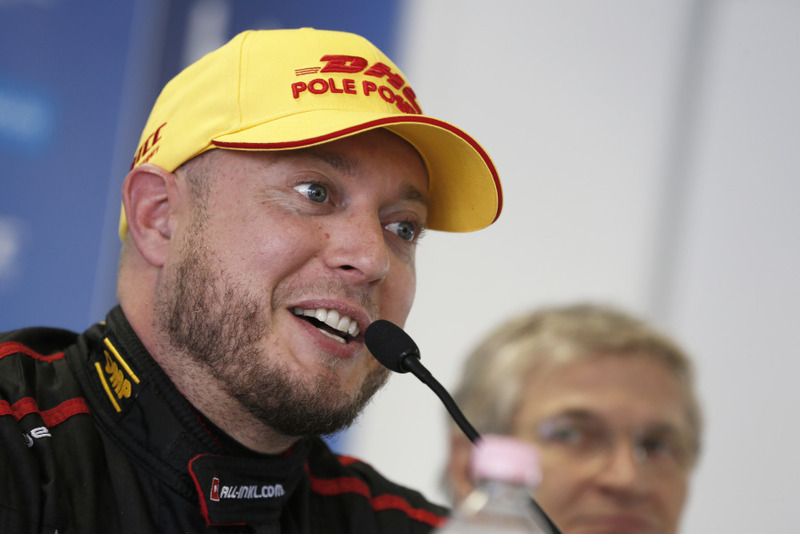 The Swedish Hyundai driver achieved the DHL Pole Position in both qualifying sessions and has now taken six this season. He subsequently won the two races and also made sure of the fastest lap in both fixtures. Björk gained a lot of ground in the overall standings thanks to his strong performance and is only 24 points behind overall leader, Gabriele Tarquini. 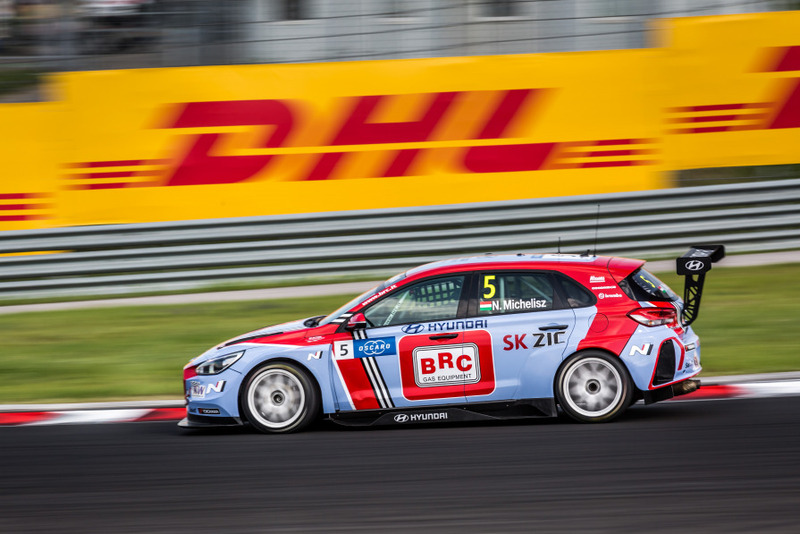 The sixth race weekend of the 2018 FIA WTCR was contested at the Slovakiaring on the outskirts of Bratislava. The first qualifying session was dominated by Gabriele Tarquini who secured the DHL Pole Position with a time of 2:09.312 minutes, more than a second faster than his nearest opponent. It was, however, a pace that the veteran Hyundai driver was unable to maintain in the race itself; he had to settle for third behind Pepe Oriola and Jean-Karl Vernay. Sunday was to be Norbert Michelisz’s day. The Hungarian first secured the DHL Pole Position and then a lights-to-flag victory, also clocking the fastest race lap in the process. The FIA WTCR now takes its summer break, returning in late September. 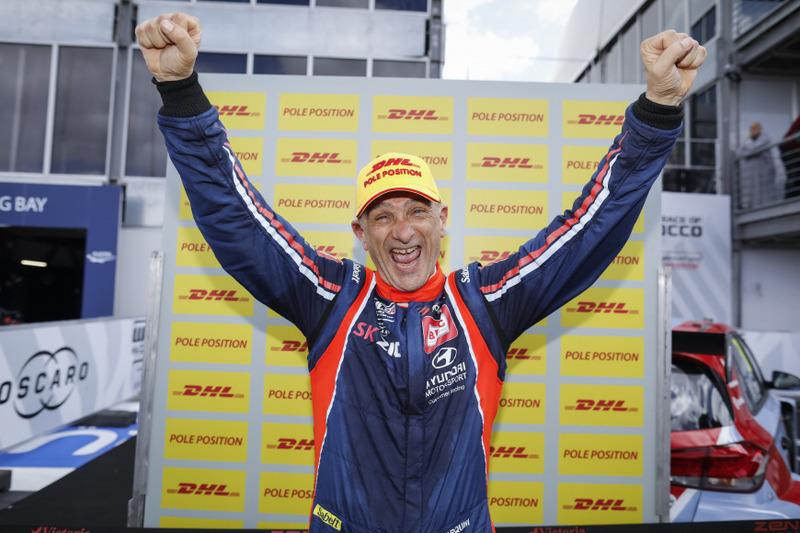 Gabriele Tarquini has a three-point lead over Yvan Muller in the drivers’ championship, while Thed Björk is just ahead of Michelisz in the DHL Pole Position Award by a score of four best quali times to three. Rob Huff was the tragic hero of the FIA WTCR Saturday race at Vila Real in Portugal. The VW driver secured DHL Pole Position just ahead of his team mate Mehdi Bennani but was unable to use it to good effect. Huff and Bennani collided in the first round, causing a pile-up on the tight street circuit in which almost half the field were caught up. The race was eventually won by current championship leader Yvan Muller. Sunday at Vila Real was dominated by Thed Björk. 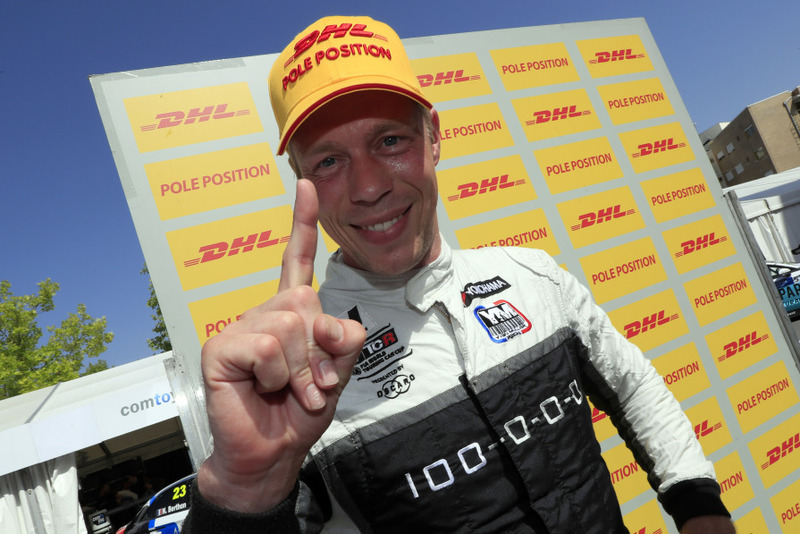 The Swedish Hyundai driver first secured DHL Pole Position and then cruised to victory. To top it all off, the for once unbeatable Björk also clocked the fastest race lap. Racing back-to-back in the WTCR, as teams and drivers were in Zandvoort just one week after competing at the Nürburgring. 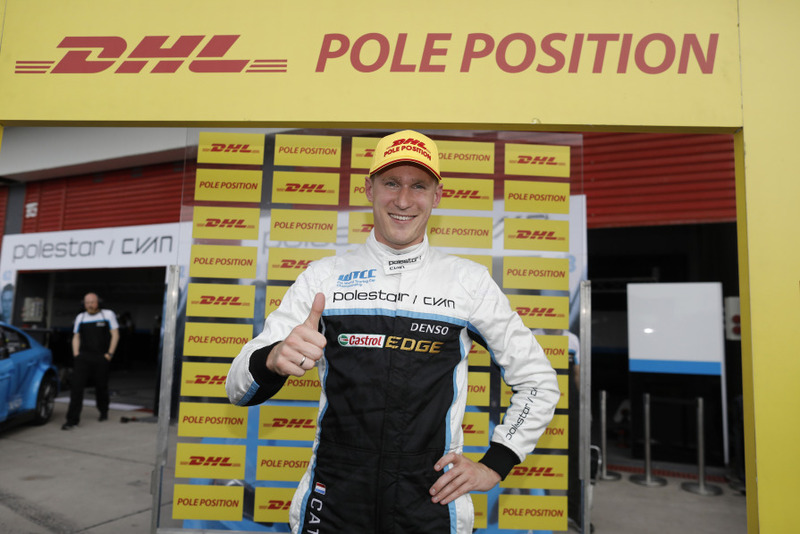 Rob Huff secured the weekend’s first DHL Pole Position in the home country of DHL brand ambassador Tom Coronel. However, the Volkswagen driver was beaten by Yann Ehrlacher and Aurélien Comte in Sunday’s race and had to settle for third place. Jean-Karl Vernay dominated events on Monday at Zandvoort. 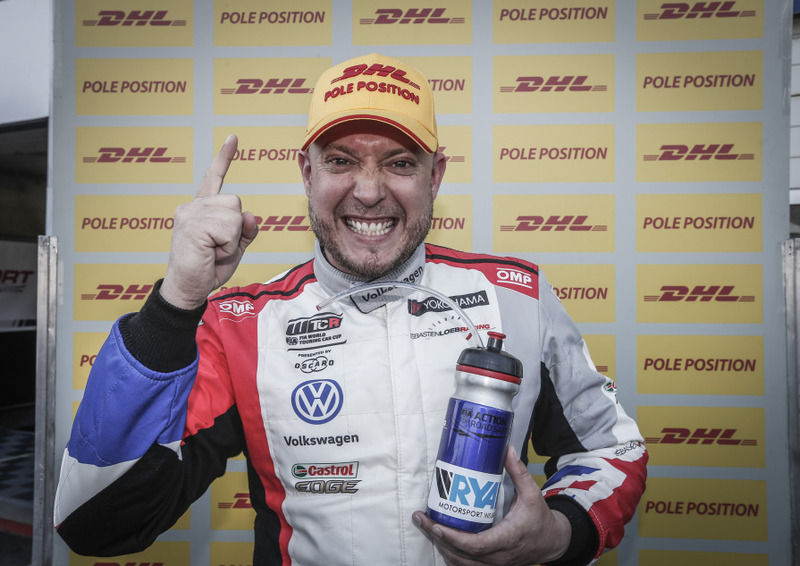 The Frenchman comfortably secured DHL Pole with a 1:43.994 and went on to convert his excellent position on the grid into his first FIA WTCR win. Rob Huff and Frédéric Vervisch finished on the podium behind Vernay. The FIA WTCR headed to the 25-kilometre Nürburgring Nordschleife for the third meeting of the season and one of the highlights of the year. With a time of 8:58.700, Thed Björk secured the DHL Pole Position for the first race which was run on Thursday. However, the Swedish driver did not do enough to secure the win, losing out to Yvan Muller by just three tenths. 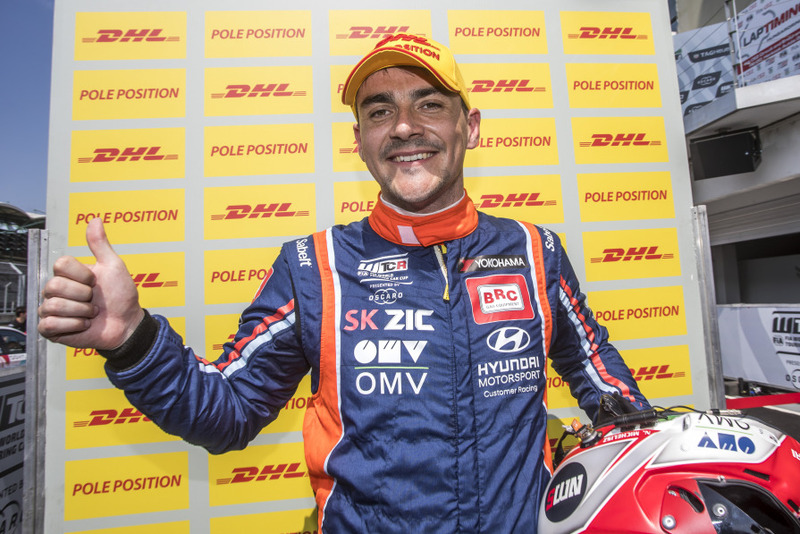 The DHL pole position for Saturday’s race on the Nordschleife again went to Thed Björk in the Hyundai, who beat his best time from qualifying on Thursday by three seconds. He took the win this time around, narrowly beating Frédéric Vervisch. 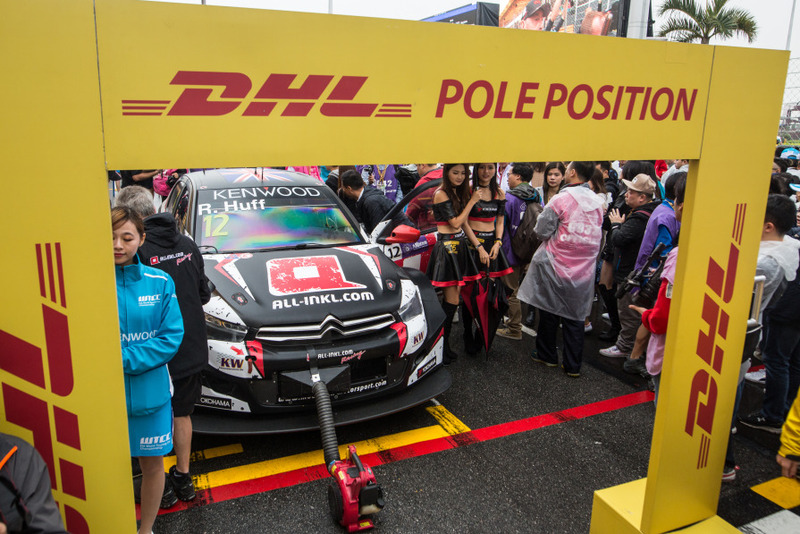 Björk has now taken three DHL Pole Positions. 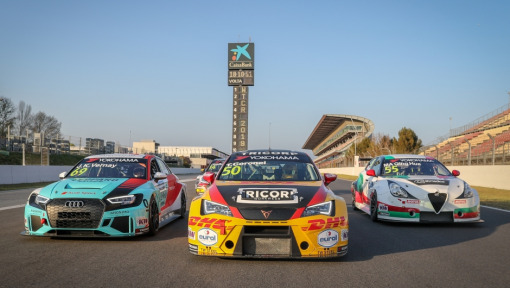 The WTCR headed to Budapest and the Hungaroring for the second meeting of the season. 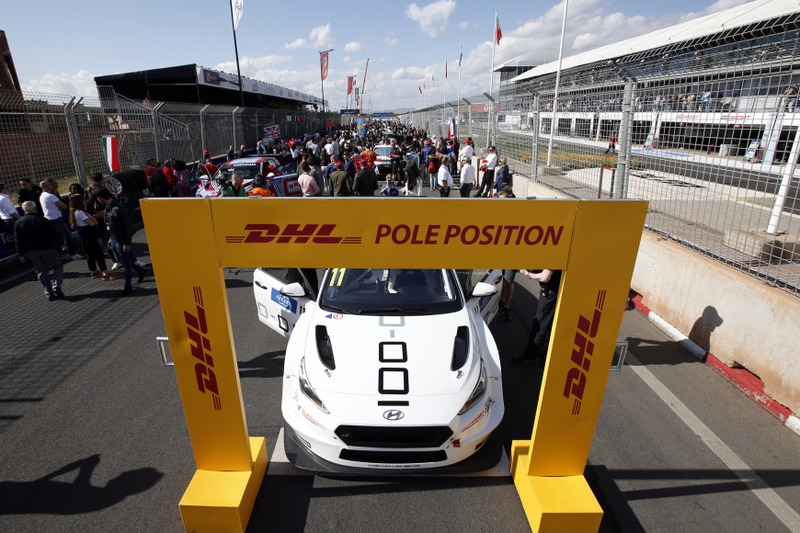 Hungarian Norbert Michelisz dominated the DHL Pole Position Award, setting the fastest qualifying time in his Hyundai on both Saturday and Sunday. However, despite his good starting position on the grid in both races, Michelisz narrowly missed the win each time. He booked second and third place as his fans watched on but took the lead in the overall ranking of the DHL Pole Position Award. 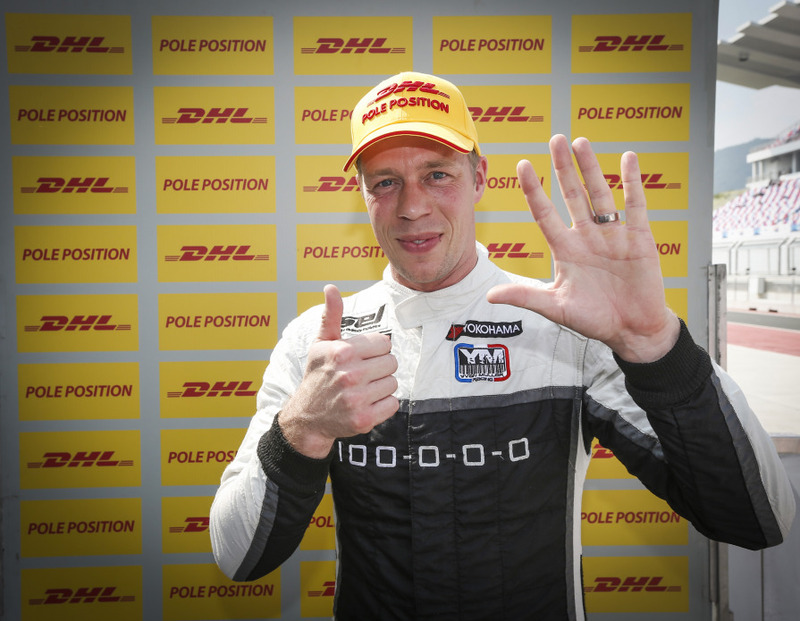 Thed Björk secured the first DHL Pole Position in the new FIA WTCR. The Swede set the fastest time in a spectacular qualifying session in Marrakech, benefiting from the absence of his closest rival, Norbert Michelisz, who missed the closing stages of the session due to a technical problem. “It feels fantastic to start this way,” said a delighted Björk. In Saturday’s race, the Hyundai driver finished second behind Gabriele Tarquini. It was Tarquini who claimed the DHL Pole Position on Sunday. The Italian prevailed by a wafer-thin margin in an extremely tight qualifying session ahead of Yvan Muller; the Top 12 were all within a second of each other. "I got a fantastic lap," said a jubilant Tarquini. 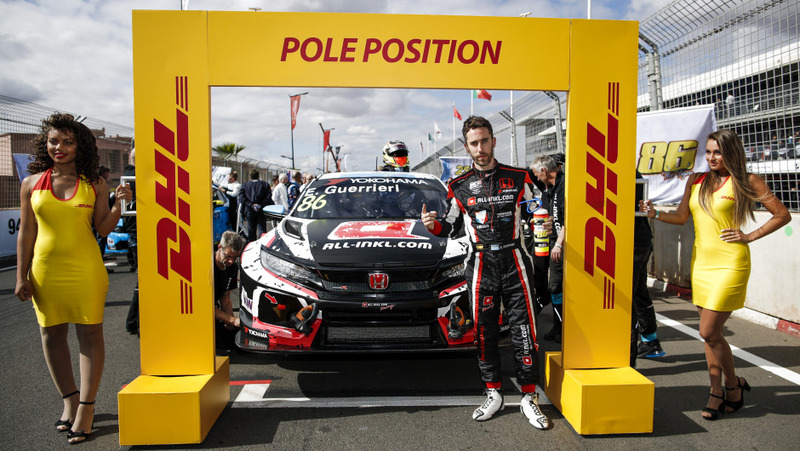 The veteran duly converted pole into his second WTCR win and thus leads the standings in the general classification at this early stage of the season. 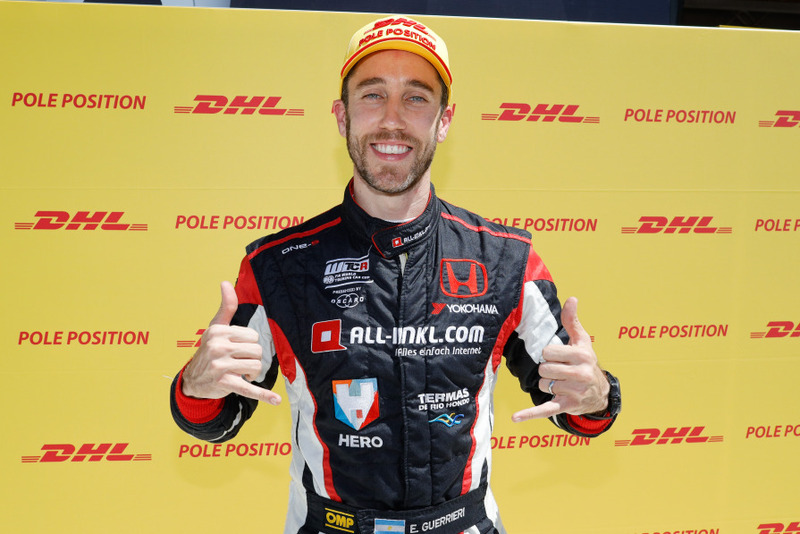 Argentina’s Esteban Guerrieri took the first DHL Pole Position of his career at the season finale in Qatar, becoming the seventh driver to set a qualifying best time in 2017. 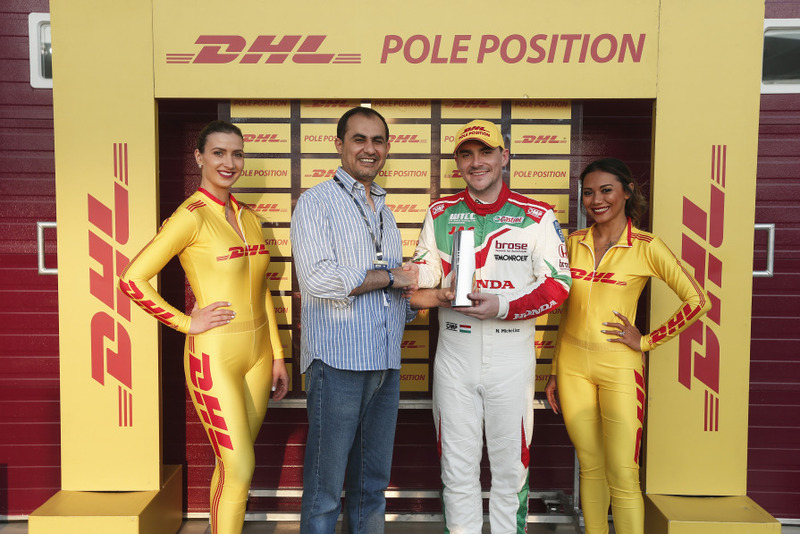 Overall victory in the DHL Pole Position Award with three pole positions went to Norbert Michelisz, who follows on from two-time winner José María López. Michelisz put his Honda on pole in Germany, Portugal and Japan. Rob Huff secured the DHL Pole Position in the stand-out meeting of the season at Macau, setting a new record for the Guia Circuit with a time of 2:23.995. The British driver converted his excellent position on the grid into a comfortable victory, winning the Main Race with a lead of over eight seconds on Norbert Michelisz. This was Huff’s ninth win in Macau – another record. “Absolutely amazing!” said the ALL-INKL.COM Münnich Motorsport driver. The second meeting on the the FIA WTCC’s tour of Asia took place at Twin Ring Motegi, Japan. Norbert Michelisz took best time in qualifying and started from the DHL Pole Position in the Main Race. The Castrol Honda World Touring Car team driver used his excellent place on the grid to take his third win of the season. British driver Tom Chilton won the Opening Race. 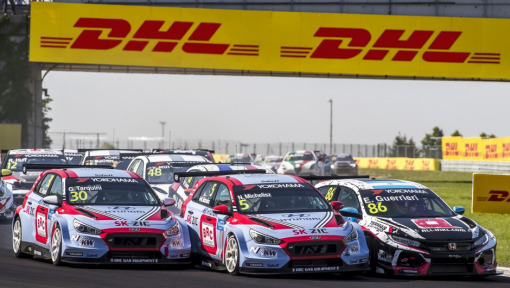 The WTCC season continued at the all-new Ningbo International Speedpark in China after a three-month break. Néstor Girolami beat poor weather conditions in qualifying to take the DHL Pole Position for the first time in his career. Girolami used his excellent grid slot to his advantage and took the win, helped by the fact that the race was stopped after three laps behind the safety car due to heavy rain. The WTCC headed to Termas de Río Hondo in Argentina for the last meeting before the summer break. Nicky Catsburg won a dramatic battle for the DHL Pole Position, crossing the timing beam as he took to the grass in a dramatic final-turn powerslide. Catsburg was the last of five drivers to hunt down pole in the qualifying Q3 shootout and gave it his all to beat Norbert Michelisz by 0.184s in a thrilling conclusion to qualifying around the 4.806-kilometre track. However, Catsburg was out of luck in the main race and retired with tyre damage while in the lead, so Michelisz took the win. Yann Ehrlacher won the opening race. 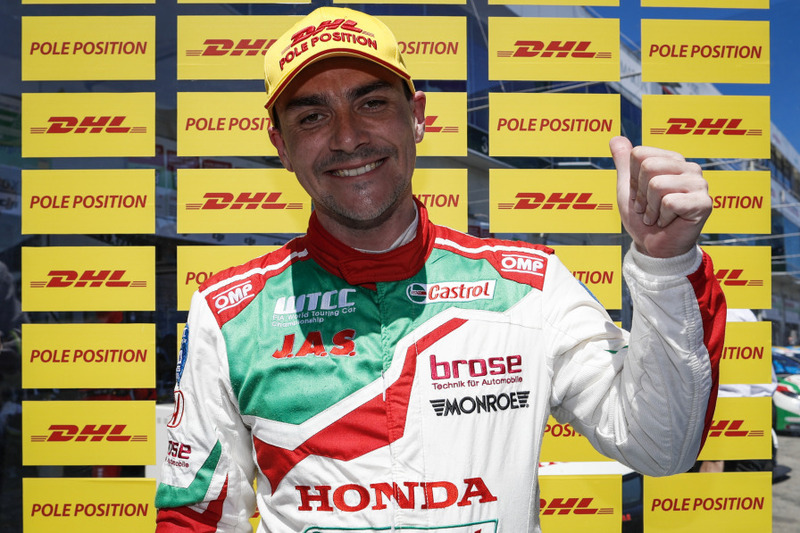 Norbert Michelisz put in a sensational lap-record-breaking charge to secure the DHL Pole Position for the Main Race at WTCC Race of Portugal. 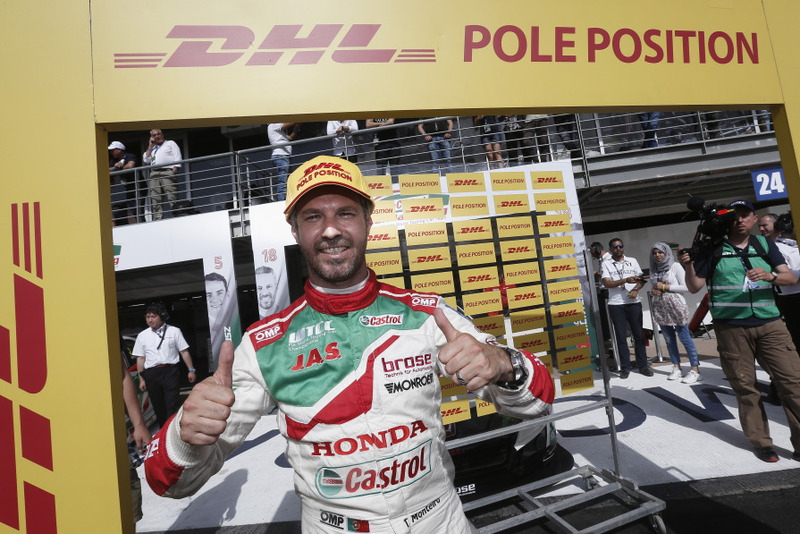 The Castrol Honda World Touring Car Team driver was the penultimate runner in the top-five Q3 shootout on the challenging Vila Real street circuit after his team-mate and local hero Tiago Monteiro had pipped him to the top spot in Q2. But Michelisz had saved his best for when it really mattered, his time of 1:55.678s proving the fastest of any session this weekend. The Hungarian maintained his good starting position in the race and secured his first win of the season. With an impressive lap in qualifying, Norbert Michelisz secured the DHL Pole Position at the Nürburgring Nordschleife. The Hungarian beat Nicky Catsburg by six tenths of a second to take the best position on the grid in the Main Race. In the race, however, Michelisz had to let Catsburg through and crossed the finish line in second place behind the Dutchman. Thed Björk won the Opening Race at the Nürburgring. A long period without much success – four years, five months and seven days – came to an end for Rob Huff at the Hungaroring where the British driver achieved his first pole position since 16th November 2012. His excellent position on the grid failed to bring Huff any luck, however. The ALL-INKL.COM Münnich Motorsport driver finished only tenth after being handed a penalty. 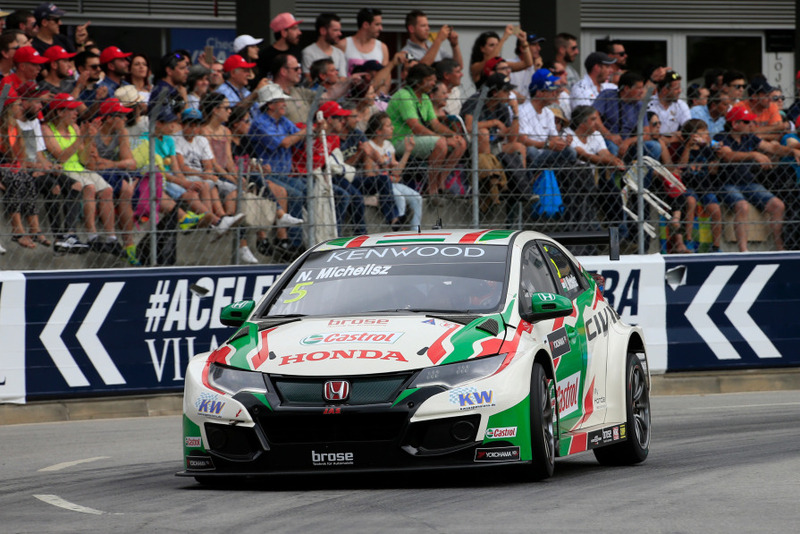 Mehdi Bennani won the Main Race while Tiago Monteiro won the Opening Race. Breakthrough for Thed Björk: The Volvo driver secured a maiden DHL Pole Position and started the Main Race at Monza from P1 on the grid. The Swede then converted this prime starting position into a race victory, the second of his WTCC career. 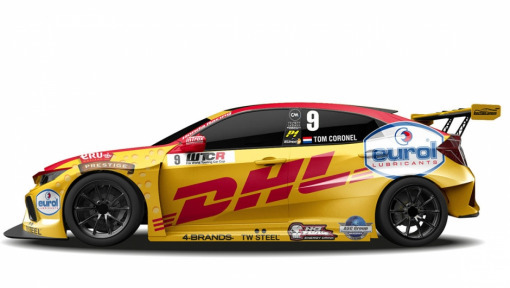 DHL brand ambassador Tom Coronel clinched the reverse-grid DHL Pole Position for the Opening Race but, after a poor start, was unable to finish any higher than sixth. After an exciting duel with Rob Huff, Tom Chilton eventually claimed victory. At the start of the 2017 WTCC season in Marrakesh, Tiago Monteiro lapped the 2.971-kilometre Circuit Moulay El Hassan in a new qualifying lap record time of 1:21.792. It bettered José María López’s previous 1:22.024 standard and earned the Portuguese the DHL Pole Position Award for the fourth time in his career and the coveted top spot for Sunday’s Main Race. Monteiro converted pole position into a race win and is the first to lead the championship in this new season.